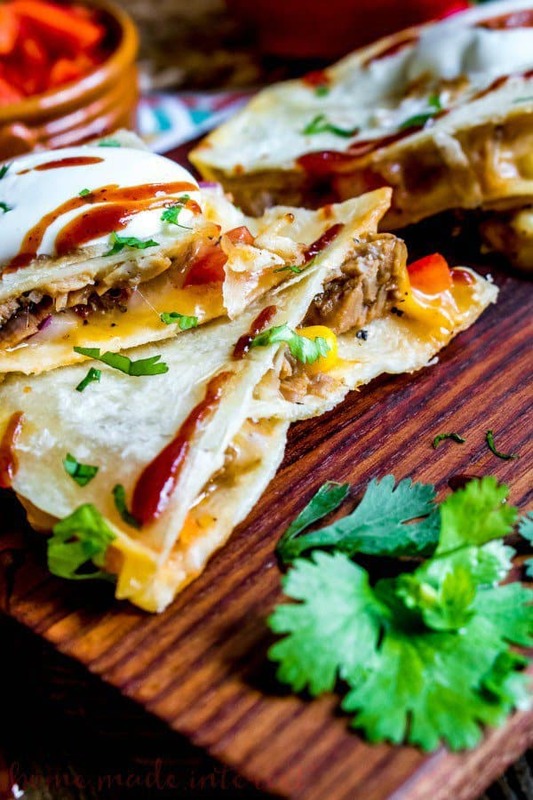 We all need the Best Quesadilla Recipes in our lives! Quesadillas are a total crowd pleaser and oh so easy to make. Delicious for parties, meals, and after school snacks. My family lives off quesadillas! They are always my go to when I need a delicious and easy meal that I know my kids will love! Sometimes we just need a 10 minute meal, and we figure its probably the same at your house — which makes all of these recipes perfect for busy nights! 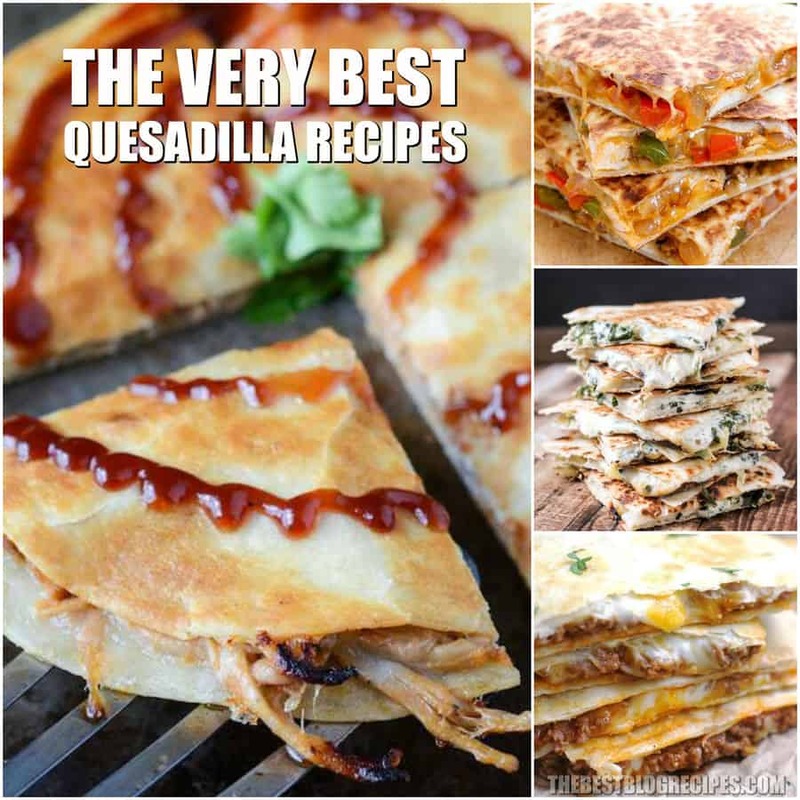 There are so many different and unique types of quesadillas, and this list has tons to choose from! There is so much variation between these recipes. Need something the kids will ask for again and again? Try the BLT quesadillas! They are absolutely fantastic! Maybe you need something for game day, an appetizer or snack to impress your quests? Check out the Extra Cheesy Buffalo Chicken Quesadillas! Those are sure to be a hit! The Best Quesadilla Recipes are also perfect for easy lunches and dinner. We know you will love these recipes, because we can’t get enough of them. They are completely delicious! The Best Quesadilla Recipes are seriously to die for. Look no further for easy, craving satisfying dinners! 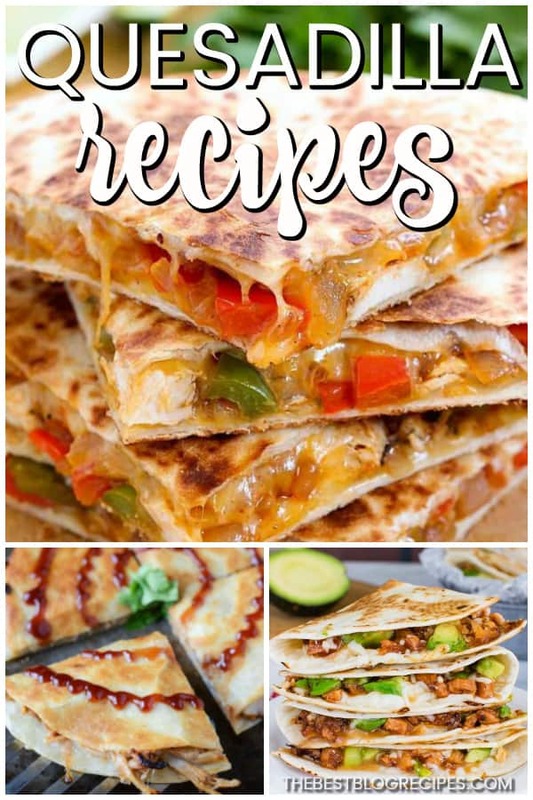 Have fun making and eating these easy quesadilla recipes! 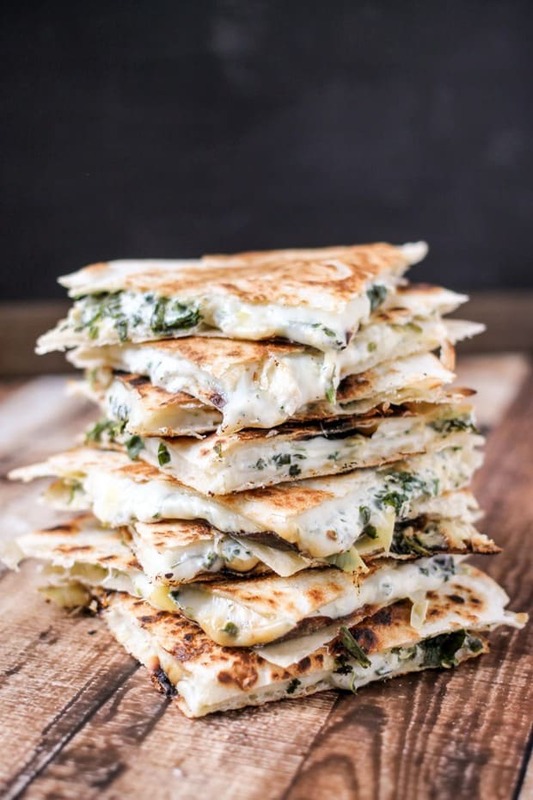 From Domestic Superhero :: Click HERE for the RECIPE Spinach Artichoke Quesadillas are full of baby spinach, artichokes, and CHEESE! So. Much. Cheese! Ooey, gooey and majorly delicious! From Tastes Better From Scratch :: Click HERE for the RECIPE Cheese tortilla filled with a delicious black bean and corn mixture. 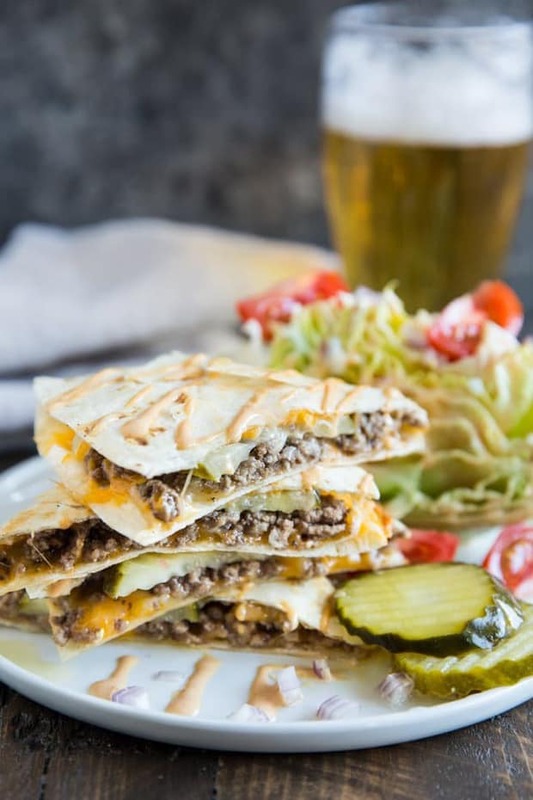 From Culinary Hill :: Click HERE for the RECIPE These quick and tasty Cheeseburger Quesadillas are so easy to make! Serve with a crispy wedge salad on the side and lots of special sauce for a full meal. Scroll down for a video tutorial! 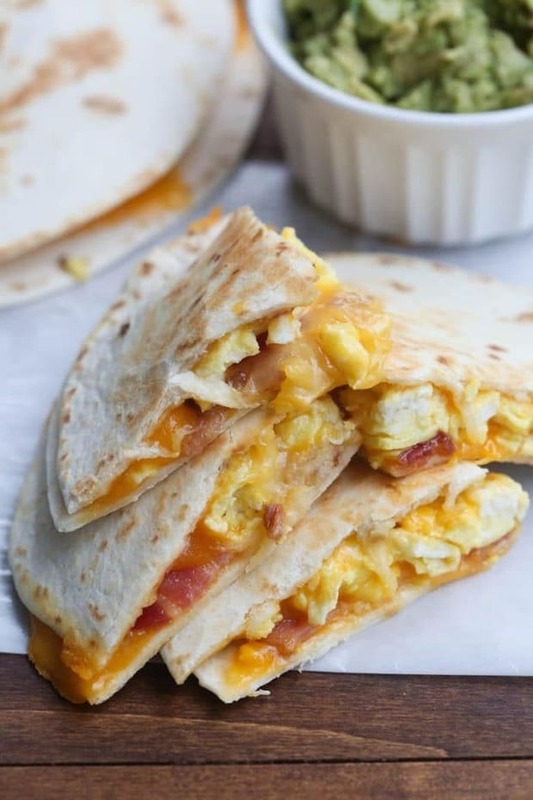 From Tastes Better From Scratch :: Click HERE for the RECIPE Breakfast Quesadillas with bacon, egg and cheese. An easy breakfast or dinner idea your family is sure to LOVE! 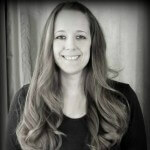 From The Recipe Critic :: Click HERE for the RECIPE Seriously, Fajita Style Quesadillas are amazing!! 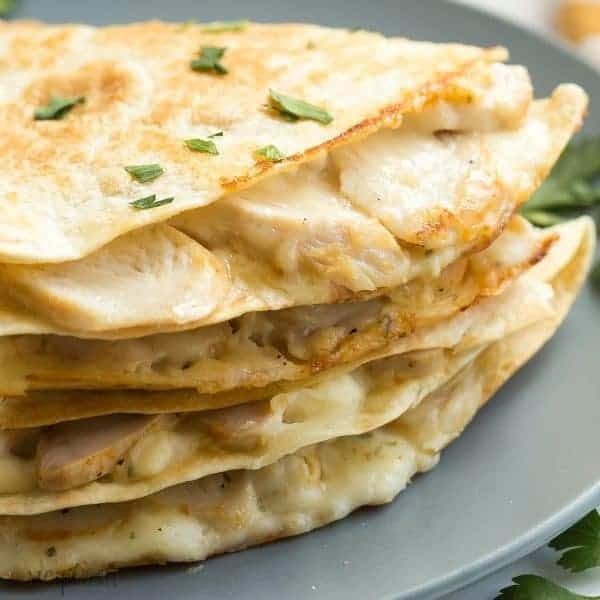 From The Recipe Rebel :: Click HERE for the RECIPE These Chicken Alfredo Quesadillas are an easy lunch, dinner or snack! They’re filled with leftover chicken, Alfredo sauce and cheese — easy comfort food! A 10 minute meal. From Homeade Interest :: Click HERE for the RECIPE Chicken Quesadillas are a simple snack of chicken and cheese melted inside of a crispy flour tortilla. From The Novice Chef :: Click HERE for the RECIPE These are so delicious and so simple to make! 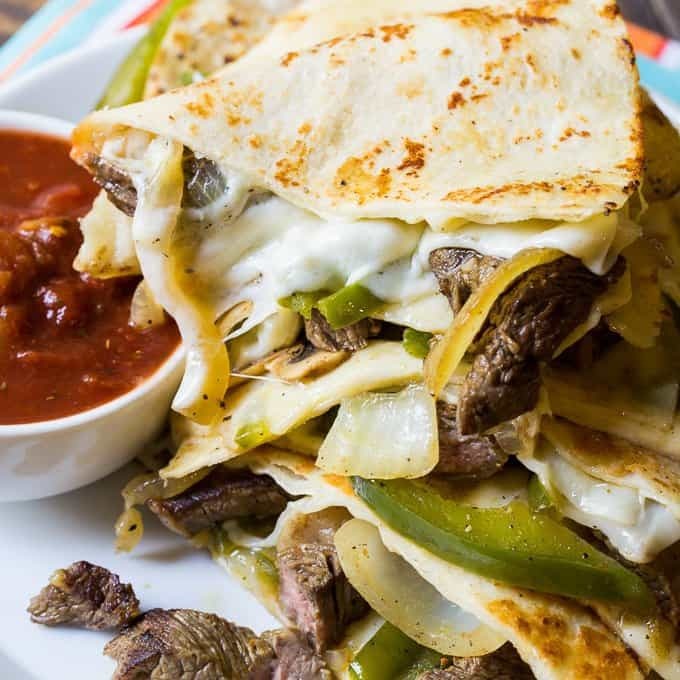 From Spicy Southern Kitchen :: Click HERE for the RECIPE Philly Cheese Steak Quesadillas are filled with melted provolone cheese, tender crisp onions and peppers, fresh mushrooms, and seared steak slices. 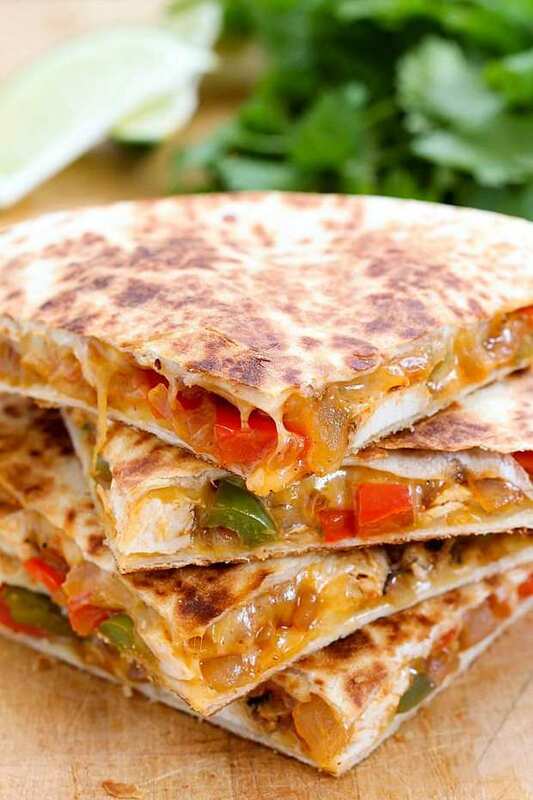 If you love a Philly Cheese Steak sandwich, you will love these quesadillas. They are perfect for game day! 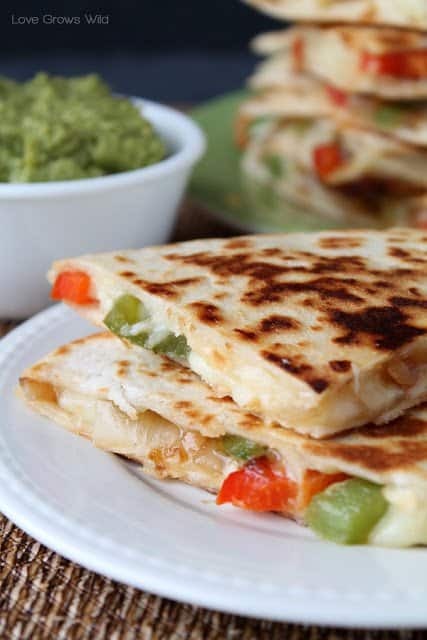 From Yummy Healthy Easy :: Click HERE for the RECIPE Chicken Fajita Quesadilla combines two of my favorite things: Fajitas and Quesadillas! 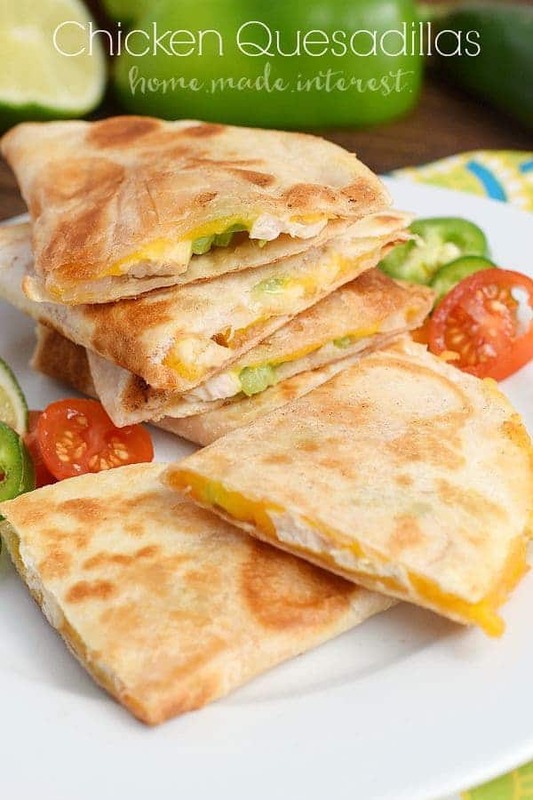 This is an easy recipe for a cheesy, flavorful chicken quesadilla made in just minutes! From Little Dairy on the Praire :: Click HERE for the RECIPE Every kid loves pepperoni pizza! 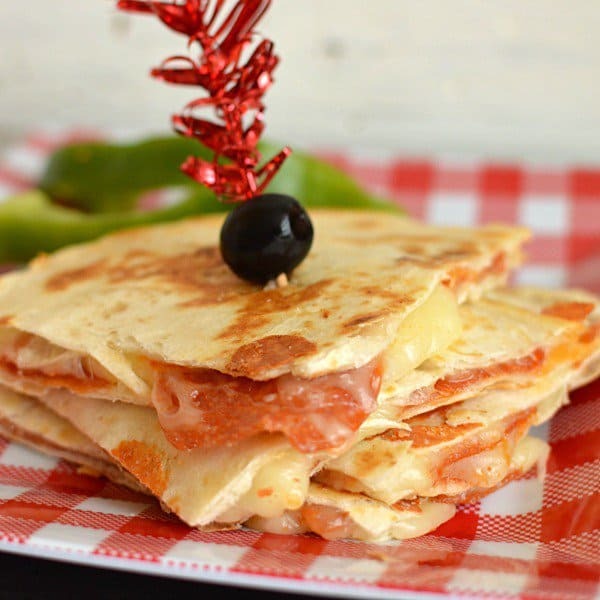 They will go crazy for these crispy quesadilla’s filled with gooey cheese and pepperoni! Serve with a side of marinara! The kids will beg you for more! 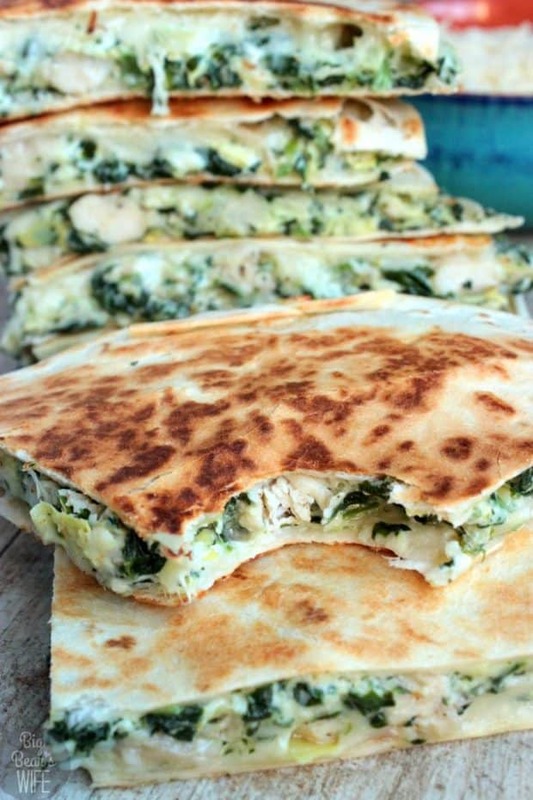 From Big Bear’s Wife :: Click HERE for the RECIPE Spinach and Artichoke Chicken Quesadillas – homemade quesadillas stuffed with spinach and artichoke dip, seasoned chicken and melted cheese! 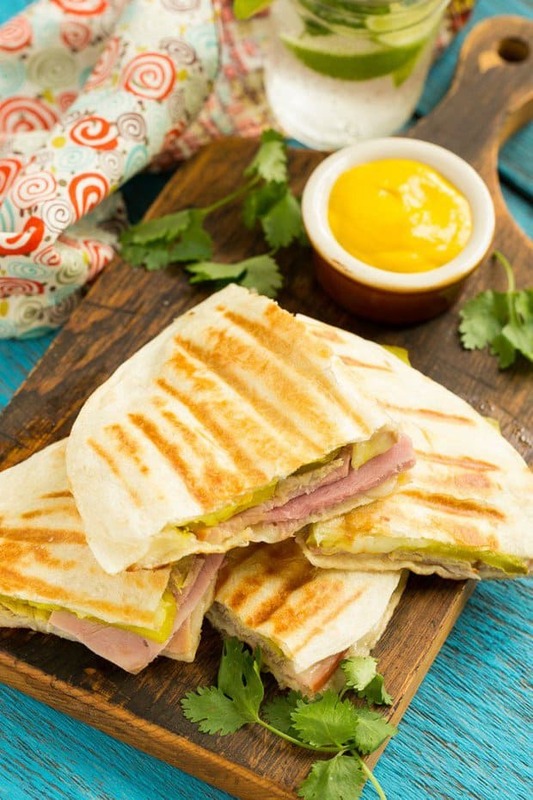 From Dinner at the Zoo :: Click HERE for the RECIPE Cuban quesadillas with roasted pork, smoked ham, pickles and plenty of cheese in between grilled tortillas. 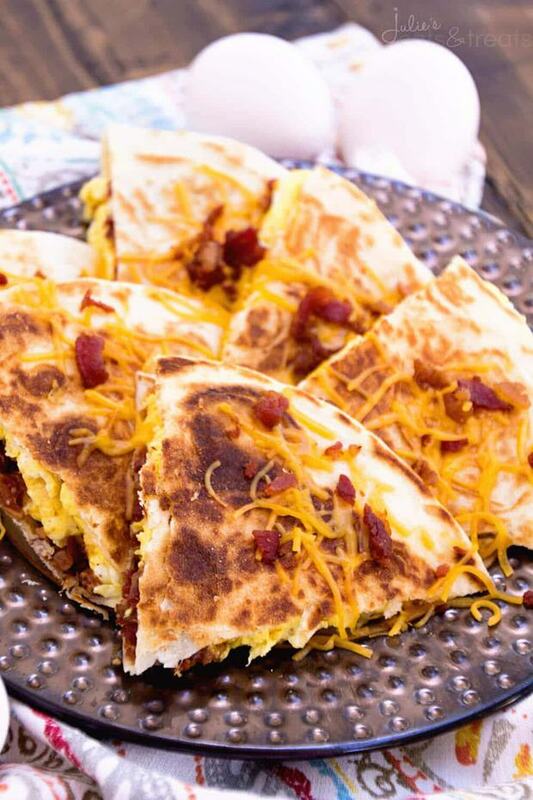 From Julie’s Eats and Treats :: Click HERE for the RECIPE Bacon, Egg & Cheese Quesadillas Recipe ~ Crispy, Pan Fried Tortillas Stuffed with Bacon, Egg & Cheese! Makes the Perfect Quick, Easy Breakfast Recipe! 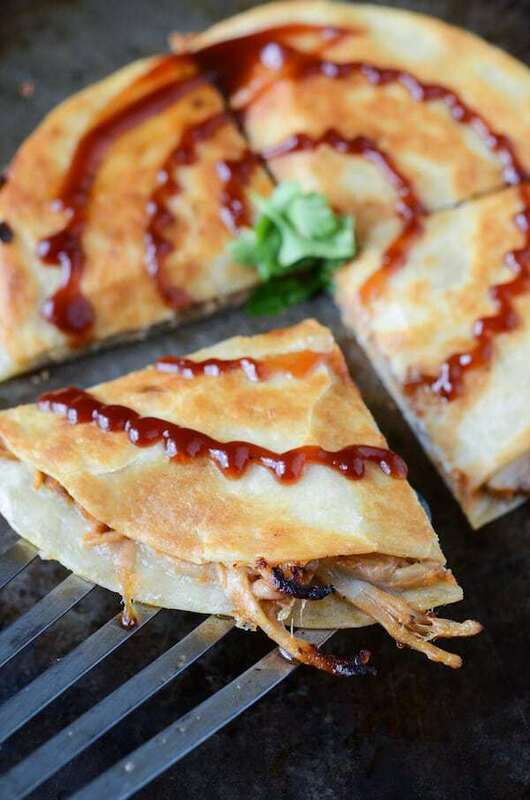 From Homemade Interest :: Click HERE for the RECIPE These easy BBQ Pork Quesadillas make a quick dinner recipe for busy weeknights! 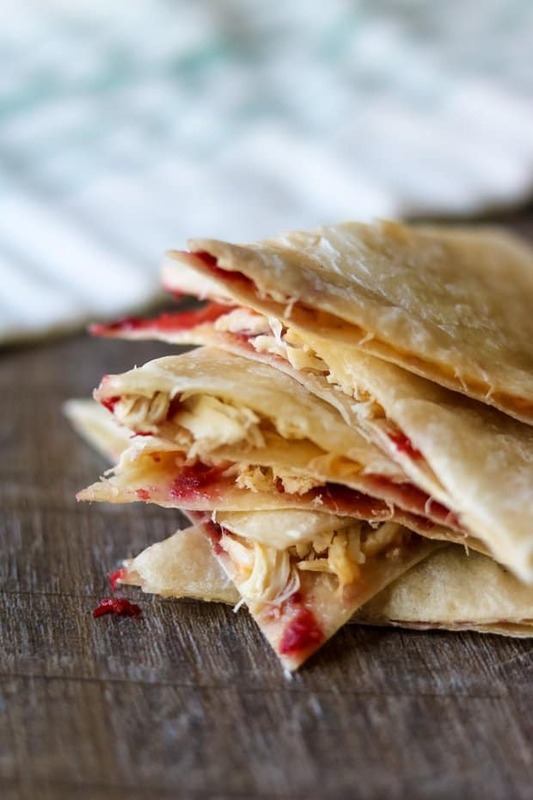 From A Mindful Mom :: Click HERE for the RECIPE Leftover Thanksgiving Turkey Quesadilla: Leftover turkey and cranberry sauce are paired with sharp cheese in a quick and easy quesadilla. 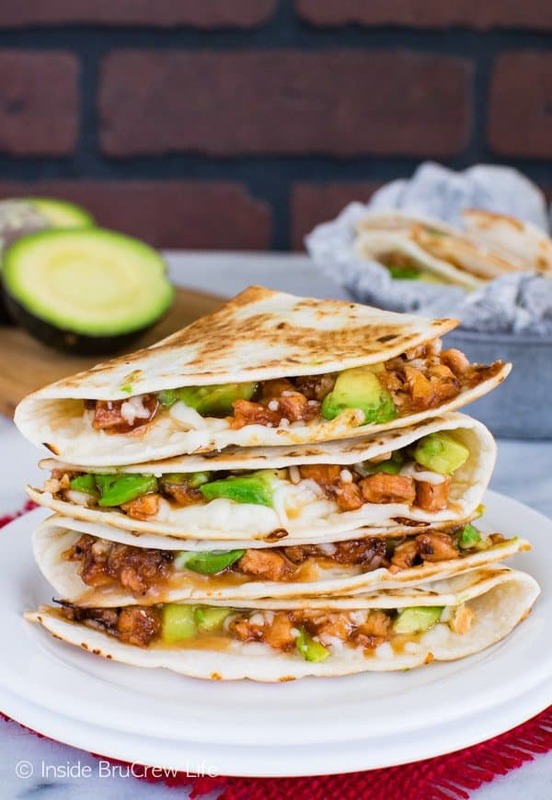 From Inside Bru Crew Life :: Click HERE for the RECIPE BBQ Chicken and Avocado Quesadillas seriously are to die for!! 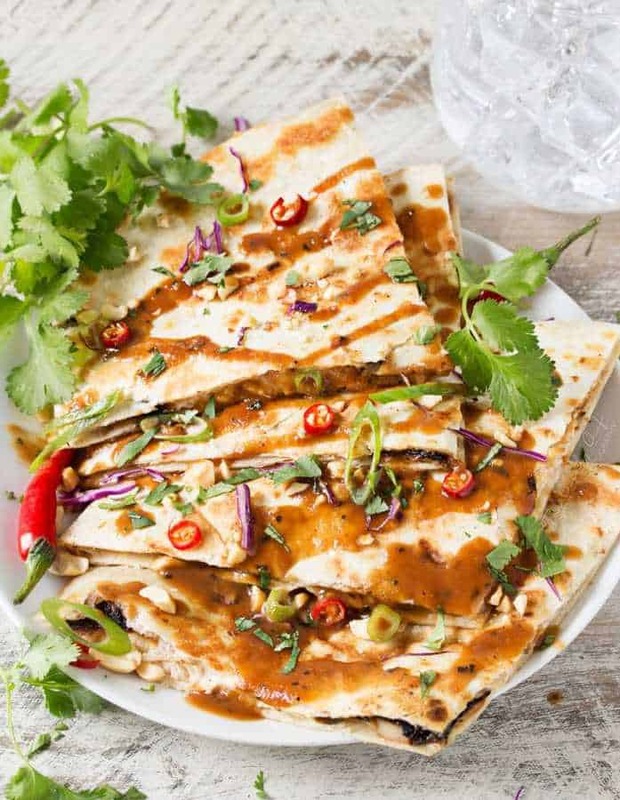 From The Chunky Chef :: Click HERE for the RECIPE Thai Chicken gets fusion twist in these thai peanut chicken quesadillas! loaded with flavor and fun to make, try them tonight! 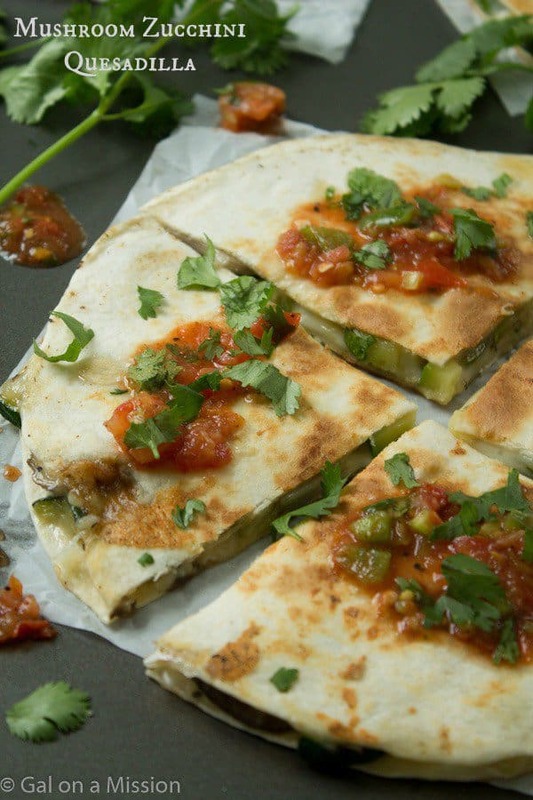 From Gal On A Mission :: Click HERE for the RECIPE Mouthwatering mushroom zucchini quesadillas that are loaded to the max with fresh veggies and oh, so cheesy! Ready under 20 minutes! 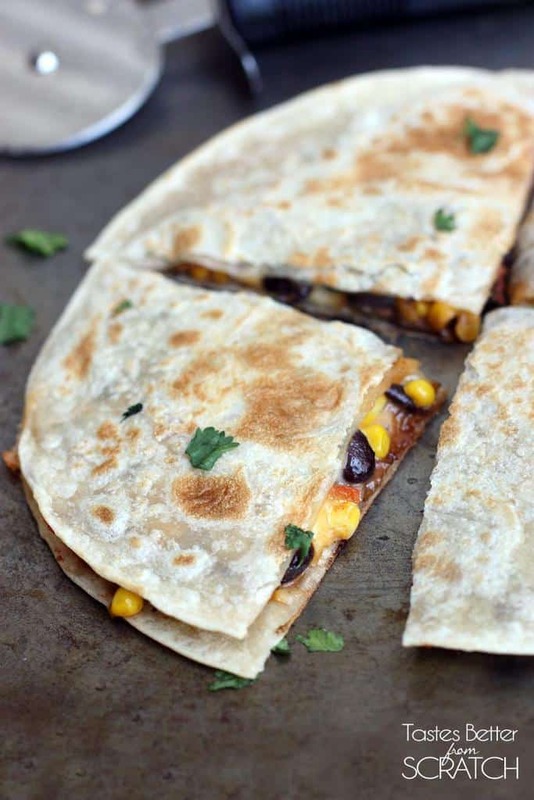 From 5 Boys Baker :: Click HERE for the RECIPE Simple, no-fuss quesadillas that are slightly crispy, totally cheesy and amazingly delicious! 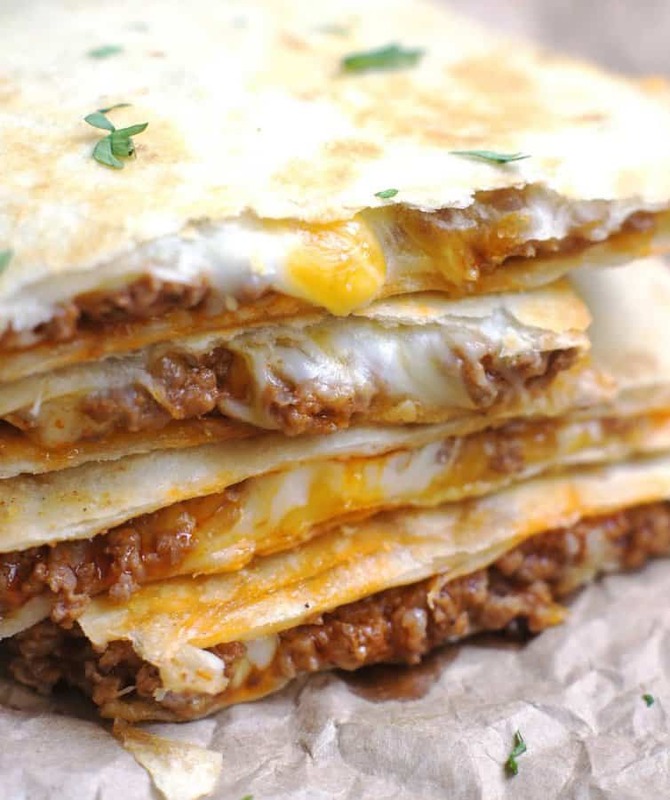 These Cheesy Ground Beef Quesadillas are the perfect meal for busy weeknights! 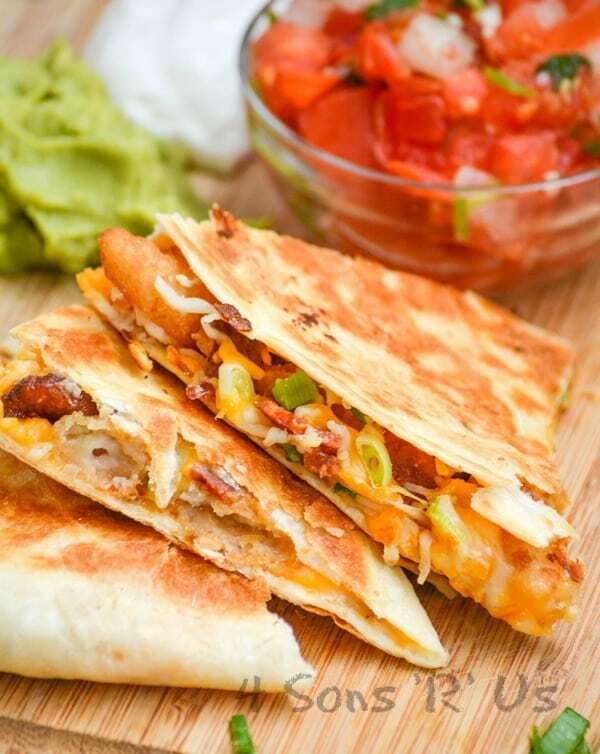 From 4 Sons R Us :: Click HERE for the RECIPE These buttery quesadillas are stuffed with breaded popcorn shrimp, crisp bacon, fresh baby spinach, thinly sliced green onions, and a melted blend of Mexican cheeses. Quick and easy, delightfully crunchy, and with just the right of gooey cheese- these Shrimp & Bacon Quesadillas take the bite of dinnertime duress.